In a bid to stay relevant to youngsters who order in regularly, this ready-to-cook brand we're all familiar with, makes a case against food delivery apps. Food company Mother's Recipe recently rolled out its new tagline 'Taste the Love' which is in line with its original proposition of 'mother's love imbibed in its brands'. Work on the new tagline was initiated months ago with a digital ad campaign #TasteTheLove. The campaign revolved around a couple of ads about Mother's Recipe's ready-to-cook mix and pickles. But it is not that 'cut and try'; the brand rolled out the ads with a purpose - to generate relevance among millennials and their surroundings. And ordering food online is quite the millennial thing. 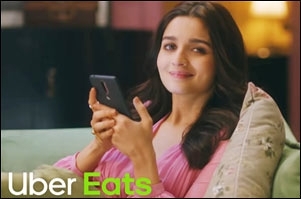 In one of the ads, the traditional, but quick-to-prepare, ready-to-cook mixes (paneer butter masala and veg biryani) are pitted against online food delivery. The guy pulls out the two packs of mixes and cooks up a meal before his partner is able to complete the order. In the second ad, even though the woman who has just moved into her new home orders her food online, she scoops out some Mother's Recipe pickle for added flavour. Also, we could not help but notice the colour of the deliveryman's shirt (Red like Zomato, perhaps?). However, online food delivery, as a category, is a pretty unlikely rival to the likes of Mother's Recipe. Sanjana Desai, chief strategy officer, Mother's Recipe, the brain behind the campaign, tells afaqs! that it is imperative to keep pace with evolving consumer tastes and preferences in today's fast-paced world. "The campaign showcases how the brand is staying relevant to the youth/millennials. The idea was to communicate the essence of the brand while staying relevant for the current environment from the consumer perspective, at the same time," Desai says. She further explains that the campaign is designed basis consumer insights like changing food habits, consumer preferences, convenience, and the lack of time. "It communicates how in today's competitive environment, consumers demand instant solutions. Hence, time and convenience along with great taste, are essential. They also want healthy, authentic, home-cooked food options. Mother's Recipe enables people to cook authentic homemade food quickly," Desai adds. We couldn't help but notice a slightly similar scenario in the Mother's Recipe 'couple' ad to the Uber Eats' 'tinda moments' ad. Both feature young, hungry people at home in need of interesting food. Of course, one ends with a successful order being placed while the other concludes with a meal being prepared in less time. Shujoy Dutta, senior VP and executive planning director, JWT Bangalore, says, "I'm not sure about the deep strategic reasons why they've chosen to reference online and there must be some (namely, reduced time in the kitchen for millennials with ready-to-cook, meal embellishment solutions)." Dutta adds, "It's a decent way to establish context by picking a phenomenon that is so convenient, it's become a habit. So, the first film is a good way of saying 'more convenient and quicker than online'. And the second, that no matter how tasty, the flavours you crave can only come from us." Saurabh Mathur, head - planning and strategy, VML India says, "To a large extent, the new campaign is about the brand staying relevant at a time when the notions of home-cooked food are changing. Who needs home-cooked food when you can just order in, snuggle on the couch and watch Netflix." Mathur adds, "In the communication, online delivery apps are positioned as a compromise and the Mother's Recipe portfolio as a solution. In the couple ad, it is an alternative and in the single girl ad, it is a supplement to make the ordered food more palatable and homely. So, they have covered both aspects - food delivery apps as competition and leveraging existing ordering behaviour." Divya Khanna, freelance planner and strategist (ex JWT), says, "Mother's Recipe is trying to define its place in millennial consumers' lives. The online food delivery reference is partly to set the context rather than only about direct competition. The brand is clearly talking to young millennials living away from home, without a mother to monitor and cater to their eating habits. They have busy lives with lots of demands on their time and perhaps, are not even fully equipped to make meals like their moms." She also explains how food delivery apps are their go-to for convenience, but it's a transactional relationship at best, with a compromise on delivery time and taste. "The brand is positioning itself for a warmer relationship with consumers where its RTC (ready-to-cook) products and pickles are set to provide a familiar, personalised taste and the feelings of being catered to." Khanna also adds, "The story, set up and casting are designed to evoke the millennial reality where both men and women are likely to be equally comfortable and/or lost in the kitchen. It's not preaching that men should be in the kitchen, but reflecting how easy to make the RTC product is. The strategy is spot on, but only consumer reaction and response will let us know if it is effective". Why are marketers 'in-housing' these days?